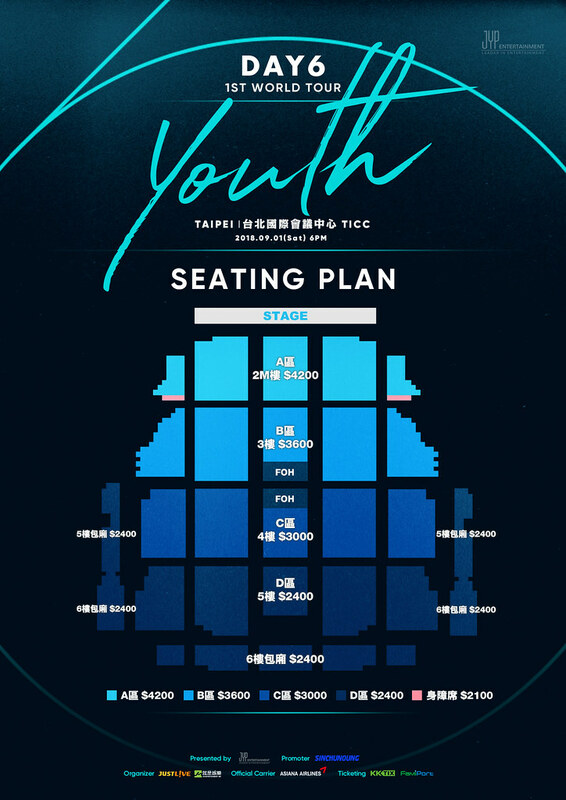 Taipei, 2018 – Good news to fans of DAY6 in Taiwan as they will be visiting on 1st September for their 1st World Tour ‘Youth’ at TICC. 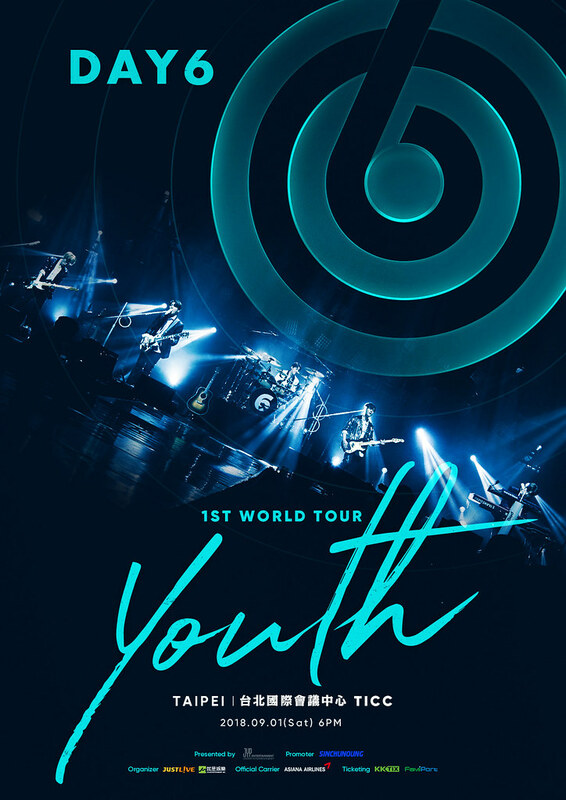 Tickets are priced at TWD $4200 / $3600 / $3000 / $2400 /$2100* and here is the official ticketing website https://jslive.kktix.cc/events/day6-iwqh35w. 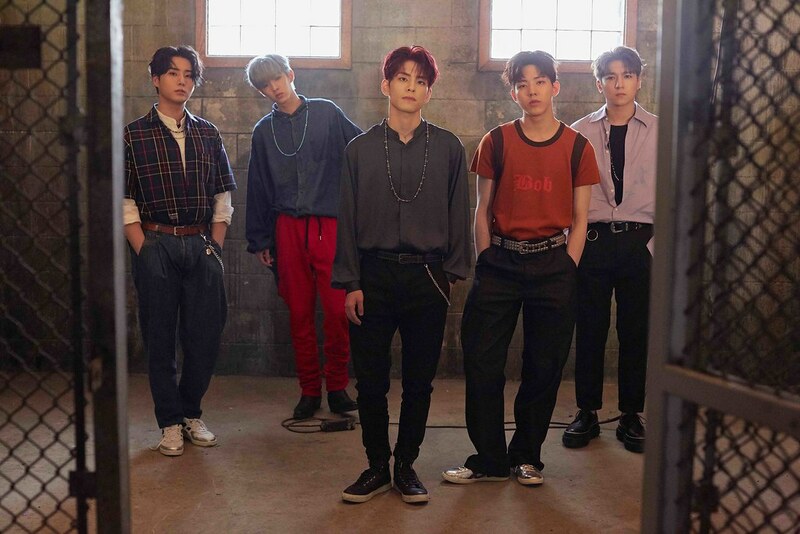 Tickets have already gone on sale so do get yours to see DAY6!